Aging parents have a strong desire to live their lives not dependent on someone else (especially strangers). In fact, most seniors prefer staying in their own homes and want to be independent even when age doesn’t allow them. 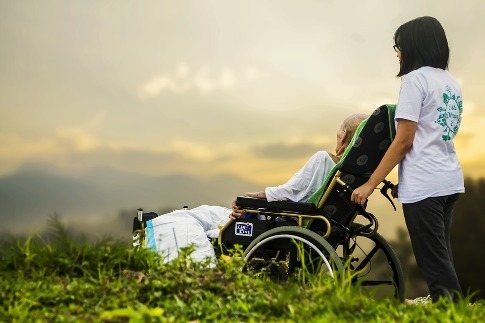 Believe it or not, the last thing your parents would want is for you to feel like they are a burden and for this reason, most of them end up hiding their need for a caregiver. The truth is; every elderly person needs someone to care for them because there comes a time when they become incapable of taking care of themselves. That said, this post is meant to give you the telltale signs that your parents, relatives or friends need assistance. Do not wait until something tragic happens for you to know that it’s time you found a good care home for your loved ones. Unexplained injuries – This one goes without saying! Unexplained injuries are the first indicator that your seniors need extra attention. Grimy and unkempt house - It is normal for people to clean up after themselves and your parents are not an exception in their own home. However, if you come to visit and notice that the house looks grimy unlike old times, it may be because they are not able to tidy up as much as they used to. If the kitchen sink is full of dirty utensils, or there is too much clutter and grime on the floors, it is important that you take that seriously. Clearly, age is catching up with them and they sure need some form of assistance. Poor personal hygiene – Most old people tend to ignore their personal hygiene. In fact, don’t be surprised when you notice that your parents have skipped taking a bath several times. Fact is, due to their mobility and vision issues, they may have a fear of bathroom falls. This is a clear indication that its time you took them to a good care home where they will have a caregiver attend to them 24/7. Loads of unpaid bills – Paying bills is one of the things that your parents have been doing since. But when you realize that they are losing track of what is paid and what is not, then that should be a telltale sign that their memory is declining. Dementia is a common condition for people in their old age which causes a lot of forgetfulness. If that is the case, it is best that you seek assistance as early as possible. Irregular medication plans – Even if your parents don’t show any of the signs mentioned above, you have to be extra careful with this one. And since old age is normally accompanied by several complications and health issues, chances are that your parents or loved ones are under some sort of medication. Take a look at their medication box to see if they might have skipped some. If you find that they have skipped medication several times, it is time you found them the right care.